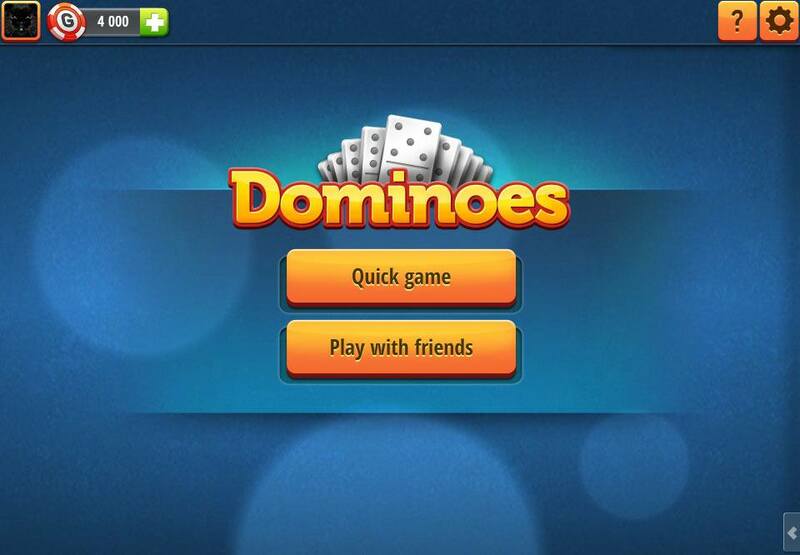 Dominoes – game rules. 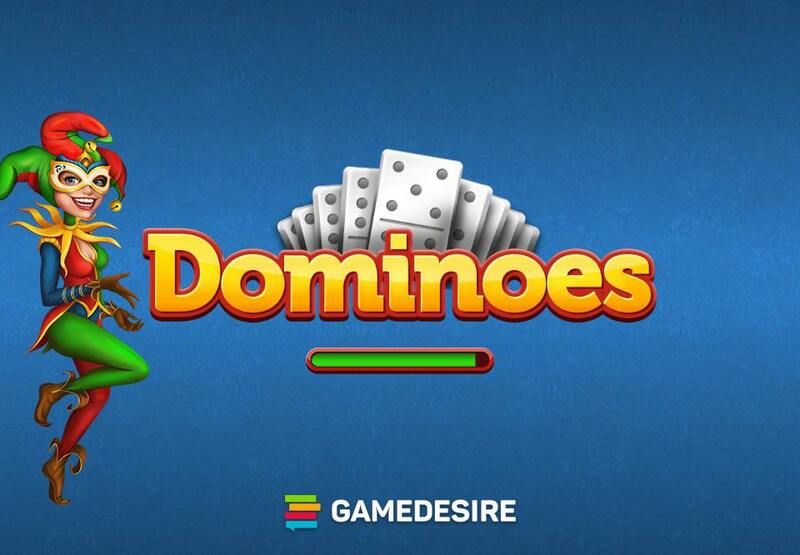 روش بازی – see how to play Dominoes on GameDesire! Dominoes originated in China around the year 1120. The game came to Europe in the 18th century and was quite popular in the Venetian courts. It's popularity has now spread all over the world (it is almost impossible to find somebody who has never heard of it). Dominoes has several variants – a variety of tile sets and rules for different ways of playing. The most popular tile sets (which get their names from the highest ranking tile) are: 'Double Six' (28 tiles), 'Double Nine' (55 tiles), and 'Double Twelve' (91 tiles). The traditional Chinese dominoes set has 32 tiles. The game of Mahjong evolved from dominoes. The basic game of dominoes described here is played with the tile set called: 'Double Six'. The game is designed for 2 players. The object of the game is to lay the tiles down in such a way as to get 100 points before your opponent. Several rounds are played to complete the game. The goal of every round is to get rid of all your tiles. The main components of the game are the tiles (bones) divided into two ends (halves). On each end there is a number of dots (also called pips). There are also blank ends. A complete set consists of 28 tiles. Each tile has a different value and there no two tiles are alike. The value of each tile is the same as the number of dots on it. The number of dots on each end varies from 0-6. There are 7 tiles called doubles - both halves of the tile are of the same value; and the halves of the other 21 tiles have different values on each half. The tiles are laid out in such a way as to connect the matching ends. Ends (halves) can be connected if they have the same number of dots. Doubles are put down in a slightly different way – they are rotated 90 degrees so they can be connected from either end to tiles that match them. Doubles are also higher in rank than other tiles. The highest ranking tile is the 'double-six', next the 'double-five', and so on… The double in which both halves are blank (its value is 0) is still higher in ranking than a tile that has two halves of different values, for example: 5 and 6 (its value is 11). This is important to remember when starting the first round (more details are in the To begin section). When there are tiles that have the same value (eg. 3&6 and 4&5), the tile with a half that is higher in value is highest ranking of the two (in this case it would be the 3&6). To start, each player draws 7 tiles and the other 14 tiles form the pot. 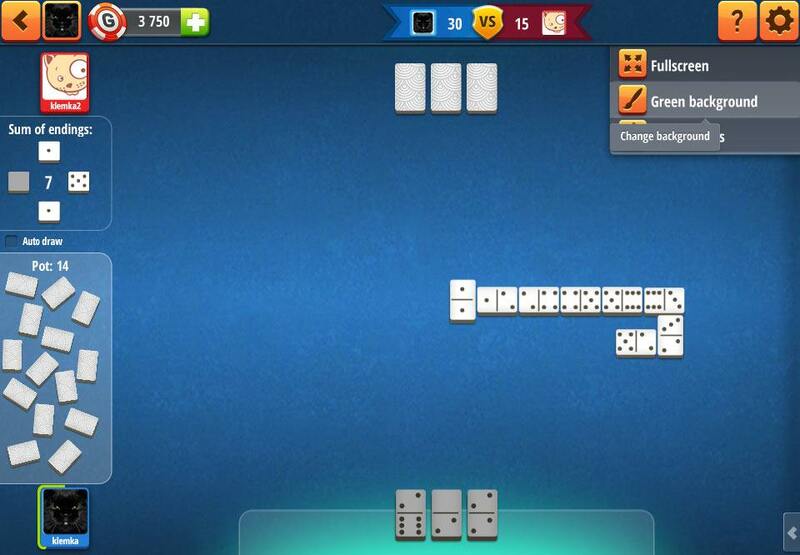 The player who has the highest double goes first and begins the game. If no one has a double, whoever has the highest ranking non-double tile goes first and begins the game. Once they have laid the first tile, their turn is over. The first tile is laid out automatically. Next, the players take turns laying tiles, creating the layout. They must remember to lay their tiles in such a way as to score points (more details are in Scoring section). If a player has a tile that matches one in the layout, they add it to the layout. If a player does not have a tile that matches, they draw another tile from the pot until they get a tile that matches or until the pot runs out. As soon as a player draws a tile that matches, they add it to the layout and finish their turn. A player cannot draw a tile from the pot if they already have a tile that matches one in the layout. If the pot is empty and a player does not have a tile that matches one in the layout, they lose a turn. The layout may have 2, 3 or 4 ends. Initially, the tiles are put on both sides of the first tile, so the layout has two ends. But layout may have up to 4 ends – when two more lines are added to the first double. The first double is the first tile played in the current round that has same number of dots on both halves. It is the only tile to which other tiles can be added to all four sides, not just two. 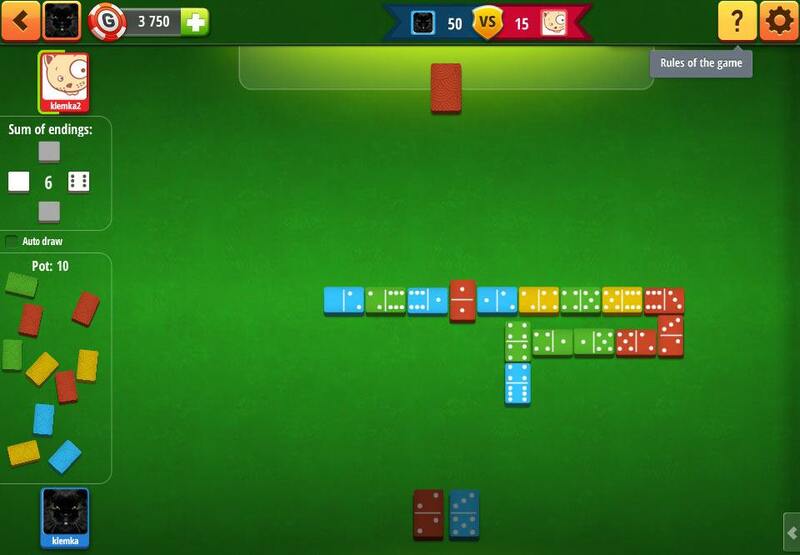 The game may be blocked – if no player has a tile that matches one in the layout and the pot is empty. In that case, the round ends, even if neither player got rid of all their tiles. Points are awarded during and at the end of each round. POINTS ARE AWARDED DURING A ROUND when the number of dots on the ends of the layout is a number divisible by 5. To see what current 'ends' are, there is a visualization of 'ends' on the left side of the game screen (above the pot). For example, if the layout ends are '2', '2', and '1'(their sum is 5), 5 points are awarded to the player. If the layout ends are '6', and double '2' (their sum is 10), 10 points are awarded to the player. POINTS ARE AWARDED AT THE END OF A ROUND in two ways. A round ending with one of the players getting rid of all of his/her tiles is the first scenario, and the second scenario is if the round is blocked. If at the end of the round, a player gets rid of all their tiles, they receive points. The number of points awarded is equal to the number of dots on the opponent's remaining tiles. The number is rounded down to multiples of 5. If the round ends because of being blocked, the winner is the player who has the most points. If both players have the same amount of points, the winner is the player who has less tiles in their hand. If both players have the same number of points and the same number of tiles left in their hands, the winner is the player who played the last tile. The winning player is awarded the total of their opponent points (rounded down to the number divisible by 5) minus any points in their own hand. A round ends when one player lays down the last tile, or if neither player has a tile that matches any tile in the layout and the pot is empty. The game ends when one of the players scores 100 points. If a player reaches 100 points during a round, the game ends immediately and the round does not continue.